Sporting Challenge are pleased to announce a funding award of £10,000 from the National Lottery Community Fund, the largest funder of community activity in the UK. The funding was announced in February by The National Lottery Community Fund, the largest funder of community activity in the UK. In the first quarterly funding announcement since revealing its new name in January, The National Lottery Community Fund (formerly the Big Lottery Fund) has revealed that more than 2,250 projects have received a share of the money, raised for good causes by players of The National Lottery. The Sporting Challenge group lined up for a celebratory group photograph at their April Nintendo Night at Burscough Wharf (hosted by Domino Partnership). Sporting Challenge are a family led charity supporting people with learning disabilities, where all members of the Board of Trustees are parents and carers themselves. The charity aims to provide sporting activities to encourage people with learning disabilities to keep fit and healthy. Their activities include: Aerobics, Bowling, Boccia, Kurling, Zumba/Dance, Swimming and other Fitness Activities. They support around 60 people in the West Lancashire area to access a variety of activities by providing transport to and from their homes and the appropriate sessional workers to support them whilst carrying out the activities. 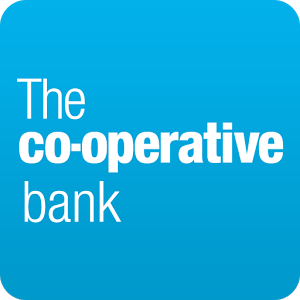 We have been donated £150 from the Co-op Bank Fraud Team who did some fundraising for us last year. A huge thank-you from Sporting Challenge. Sporting Challenge are pleased to announce a funding award of £2000 from the John Moores Foundation. Sporting Challenge have received £1000 this year and will receive another £1000 next year. John Moores Foundation is a registered charity, established in 1964, that gives money to community organisations doing charitable work. We focus on funding projects based in Merseyside (including Skelmersdale, Halton and Ellesmere Port) and Northern Ireland. They aim to enable people who face barriers, as a result of social, educational, physical, economic, cultural, geographical or other disadvantage, to improve their social conditions and quality of life. They do this by making grants to local groups that fall within our areas of interest. Priority is given to small, grass-roots and volunteer driven organisations. They support around 58 people in the West Lancashire area to access a variety of activities by providing transport to and from their homes and the appropriate sessional workers to support them whilst carrying out the activities. One of our members Jeff by the Moores statues in Liverpool City Centre. Sporting Challenge have been awarded a fantastic grant of £3000 from The True Colours Trust, registered Charity Number 1089893. Sporting Challenge have been awarded £500 from West Lancs Borough Council’s Community Chest scheme. Two local causes are part of the Tesco Bags of Help Scheme. Please vote in store so they receive funding. They can be awarded £1000, £2000 or £4000. Sporting Challenge have been awarded £3000 towards their series of activities sessions. Sporting Challenge have been awarded £10,000 towards their series of activities sessions. The National Lottery raises money for good causes. People use this funding to do extraordinary things, taking the lead to improve their lives and communities. Every time you buy a National Lottery ticket, you help make this happen. Communities come in all shapes and sizes, and National Lottery funding is there for everyone. There are 12 distributors of money raised by the players of The National Lottery, which fund projects and activities that transform communities, protect our heritage, and enrich lives through arts, sports and culture. Sporting Challenge have been awarded £500 towards their 2019 Short Break at Hothersall Lodge in September 2019.